Nestled between Thailand, China, Vietnam, Cambodia and Burma, this Indochinese country is fast gaining a reputation as the beauty of the East thanks to its incredibly rich culture, stunning natural scenery and colourful colonial towns. Due to years of political and geographical isolation, land-locked Laos has remained undiluted by mass tourism, and the whole country retains an old-fashioned charm. The Mekong River runs the length of the nation, while the Annamite Mountains spread over the eastern border from Vietnam. The result is a mix of stunning waterfalls, lush mountainside forests and, in the south, spectacular islands. Towns are full of reminders of the country’s past, from French cafés to royal Unesco cities and Buddhist temples, and the Laotians are extremely laidback and friendly. It’s hard not to be won over by this utterly fascinating country. 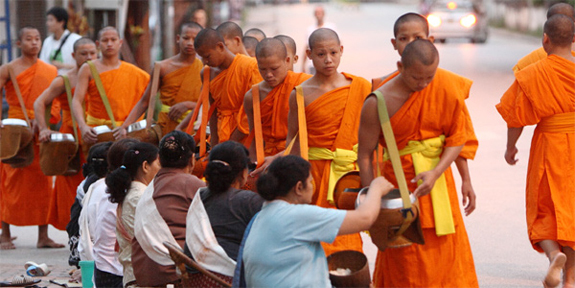 The majority of visitors start at Unesco-listed Luang Prabang, the country’s third largest city. It’s a picture of sleepy provincialism seemingly lost to the world, hidden within verdant greenery and encircled by mountains and rivers. A blend of exotic colours and smells entice visitors to explore the narrow streets: frangipani flowers, coffee trees, spice stalls, river boats and incense-carrying monks are all permanent fixtures. The city is a delightful patchwork of colourful wooden houses that give a nod to their French-colonial past while also embracing the country’s Buddhist culture. 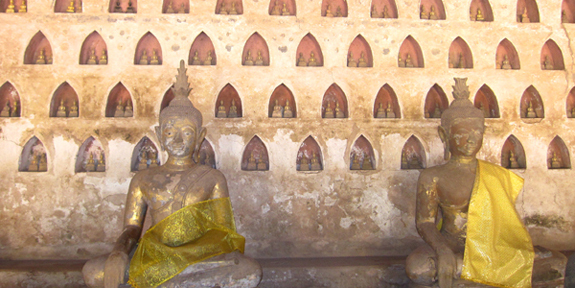 Golden-roofed wats are decorated with mosaics of the life of Buddha and sit under wrap-around balconies and shuttered windows. Lung Pranbang’s charm is its simplicity and love of tradition; daily Buddhist Alms ceremonies, nightly markets, laidback river life and dreamy cafés all allow you to sit, gaze and just absorb your surroundings. 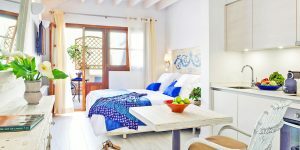 Stay in one of our boutique hotels in the centre of town to make the most of this unique and charismatic place. 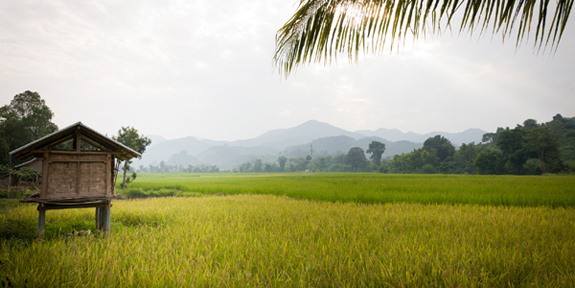 If you’re feeling adventurous, head out from Luang Prabang into the incredible countryside. Some 85% of Laos is forested, and in the tranquil north you’ll find quiet riverside villages overlooked by craggy green mountains that are home to the Akha, Hmong, Ikhos and Khmu peoples. Muang La Resort, situated on the edge a traditional village in the Oudom Xay Province, is a peaceful mountain escape where you can fill your days with elephant rides, treks to remote hill tribes and visits to thermal pools. From northern Laos, it’s just a short internal flight down to the capital, Vientiane, home to the country’s most famous and important religious monument, Pha That Luang (a 3-layered gilded stupa that has become the national symbol). The Lao National Museum offers perspectives on Communism and the Vietnam War, while the vast number of elaborate temples and sculptures look further back in time. 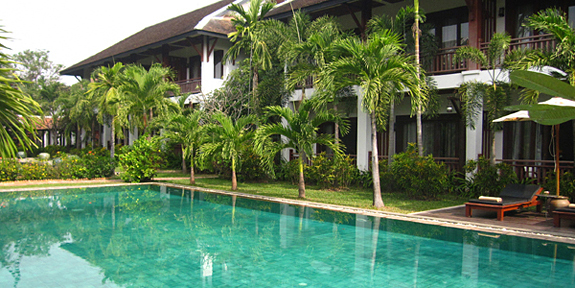 There are also plenty of traditional markets where you can barter for local handicrafts, silk, teak and textiles. You’ll also find steaming noodle stalls, special Laotian rice cakes, upmarket French brasseries and everything in between. 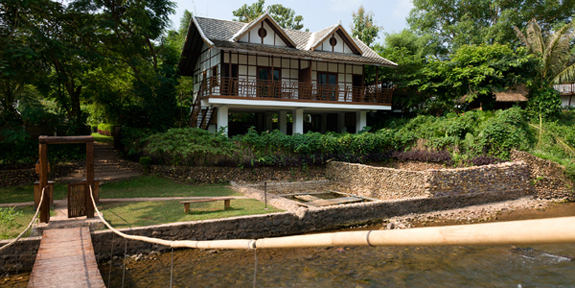 Spend your days exploring and eating, before curling up on your terrace at Green Park Boutique Hotel with a Beerlao – the national beer – in hand. Further south again is the Champasak province, whose beauty will really take your breath away. Sights in this peaceful and rural region include the Khmer ruins of Wat Phou, which has structures dating from the 11th century and whose shrine is a centre for Theravada Buddhism. Also well worth seeing are the picturesque Khone and Pha Pheng Falls on the Mekong River, which plunge 21 metres into a waterway that’s home to a small population of endangered Irrawaddy dolphins. The broader reaches downstream are known as Si Phan Don or Sipandon (‘4000 islands’) – huge riverscapes with paddy fields, stilted houses and tiny sandbank islands. Most visitors spend their time horizontally, and it’s easy to see why – but venture beyond your lounger and you can visit tiny villages with their own customs and practices. Try silk weaving, fishing (you can try to catch the giant catfish, the world’s largest freshwater fish) and buffalo breeding, as well as exploring local markets which feature some very alien delicacies! 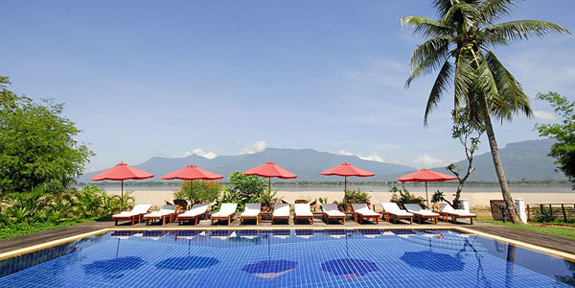 Retreat to isolated La Folie Lodge, which sits on the river island of Don Daeng, for complete relaxation and stunning beaches. November to April is the best time to visit as the days are warm and dry but the evenings are cool. 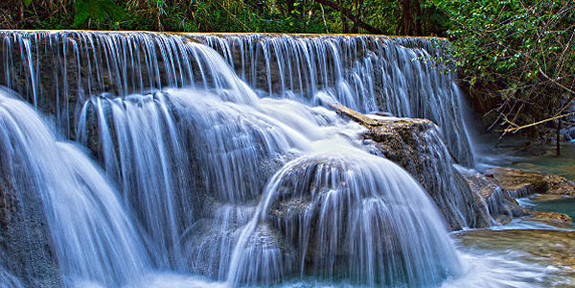 Temperatures begin to rise in March, and May or June see the start of the rainy season, which lasts until October; this, however, means that Laos’ many waterfalls look incredibly impressive! There are no direct flights to Laos from the UK (or many other western countries). We think this provides a great excuse to combine a trip with a visit to one of its neighbours. Most people opt for Thailand, as you can catch one of the many boats which travel along the Mekong from there to Luang Prabang. Opt for a private tour and you’ll be able to visit waterfalls and kayak to ancient sites en route. Do ensure that you check the condition of the boats before you board. 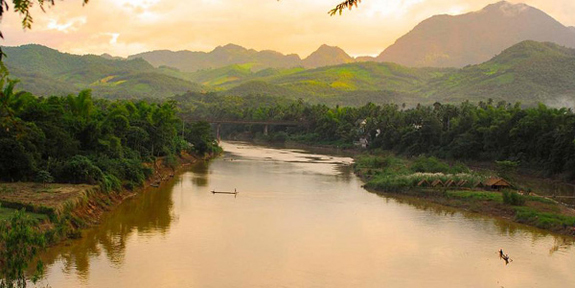 For bespoke trips, book though our Tailormade Tours through i-escape, who will create a holiday that’s perfect for you; we’re itching to go on the 10-day ‘Riches and Splendours of Laos’ tour, which takes in temples, mountains and the ‘4000 islands’. 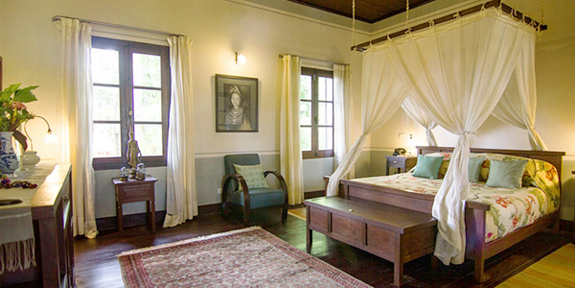 See our destination guide and browse our collection of boutique hotels in Laos.